Is it winter or not? Sigh, all year the same here. It’s cold outside, the sky’s grey the paths are swampy and the whole day is it not really bright outside. I mean, okay, this December wasn’t that bad, but it would be much better when we’ve got snow outside. How much brighter and more friendly would it be with snow, isn’t it? I can’t resist to go to the mountains within the next days to see a sunny, cold, white winter day, with the sun shining down on me! Well, for all other people without this option, I will show you some nice images, when I am back. 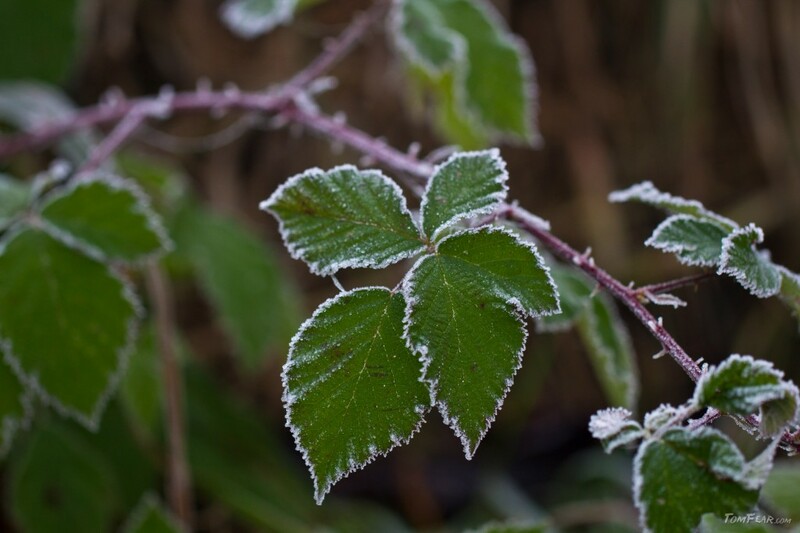 But for the moment I can only show you some frozen fog at the frame of the leafs.